By Guest Writer: Jeff L.
Their theme is “fresh Italian” and their selection of what you could put on your meal was impressive. 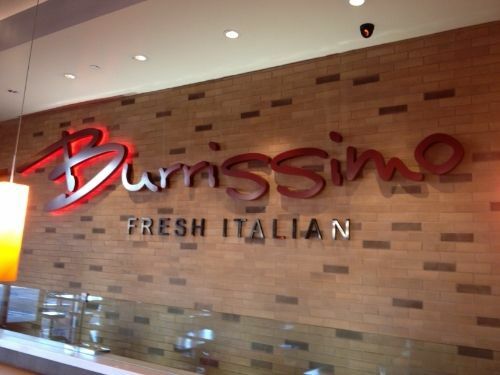 The concept behind Burrissimo is similar to Chipotle. You basically pick your meat and veggies and they then get wrapped up in an Italian herb tortilla with some angel hair pasta and sauce. 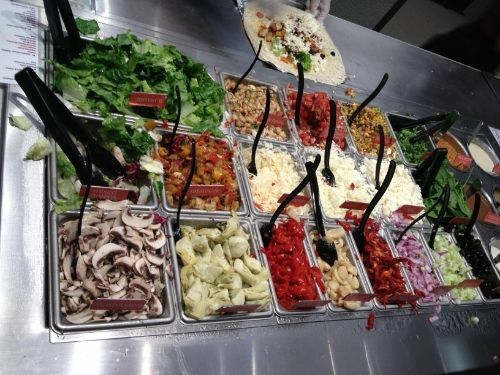 Their selection of toppings is very extensive. We started with the bread sticks which looked underdone and were. They were served with an interesting honey butter which, when they were consistent were good, but a little too much on the honey side and less on the butter side. The first batch was more of an applesauce consistency with the second batch being what you would expect in regard to creaminess. 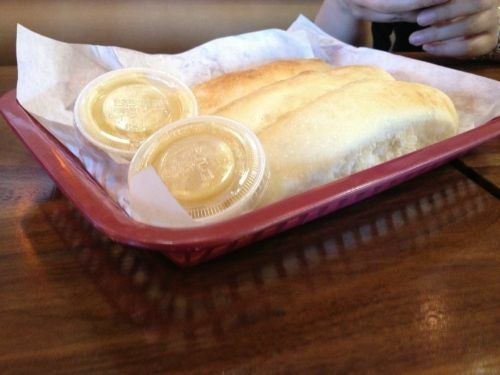 The bread was very light and fluffy. 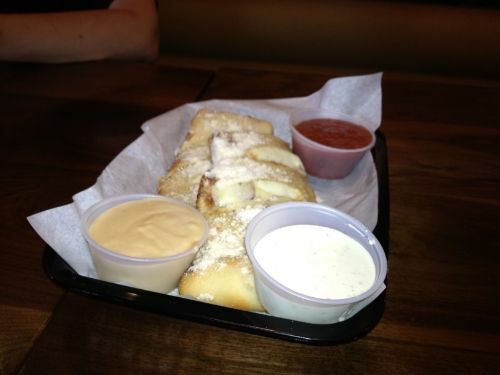 We then had the pepperoni rolls which were served with 3 sauces, alfredo, pomodoro and ranch. The alfredo sauce had this orange hue so I had to doubletake, it could use a little on the flavor side but did have a little kick towards the end. Pomodoro was a simple marinara sauce. 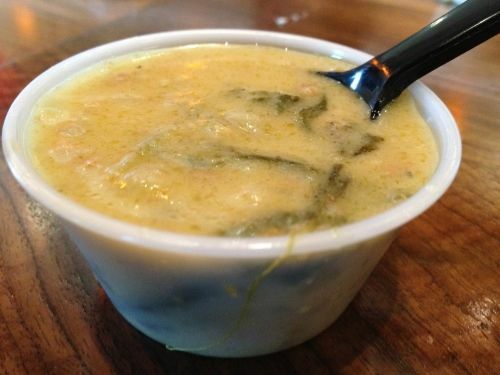 The Tuscany sausage potato soup was really good. Seasoned perfectly and it was light yet hearty. The Burrissimo wrap is an intriguing concept, at first I’m thinking an Italian wrap with angel hair pasta inside would be weird, but it works. I had the meatball inside which was good but by the time you put all the veggies on it the meat to total product ratio seems small. They make their meatballs from scratch which I respect. I had a smidgen of diavolo sauce because it was too hot but combined with the pomodoro sauce made for a zesty combination. 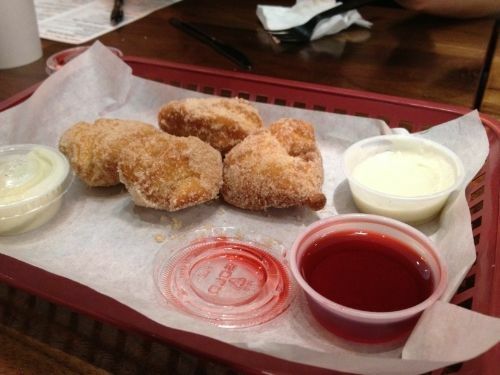 The Zeppoles were a little on the dry side but combined with the dipping sauces it worked. 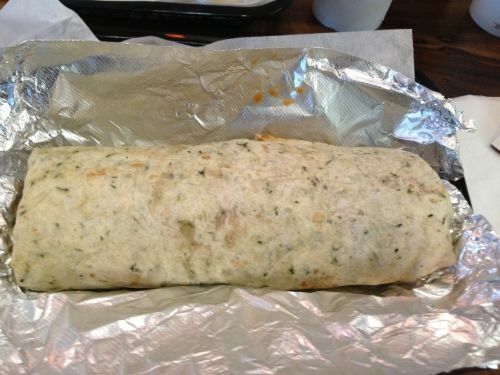 Bottom line is that if you want fresh, high quality food for a reasonable price point you should try this place. Editor's note: Jeff was invited to try Burrissimo as part of a media event.